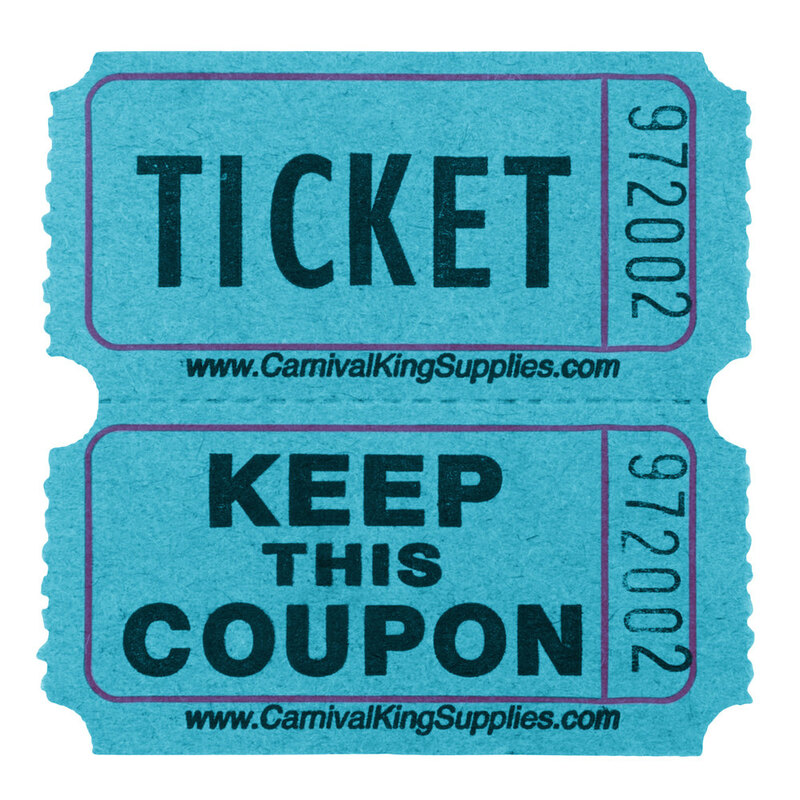 Whether they're getting ready to win or ready to enter your big event, your guests will love the thrill of entering with this Carnival King blue 2-part raffle ticket. With a standard 2-part design, these tickets allow your guests to keep one part (the coupon) while the ticket part remains with you. The ticket number is conveniently printed on both parts so that each party maintains knowledge and proof of the ticket number and possession.